For TWO days, January 21st and 22nd, Anthony’s Coal-Fired Pizza in Littleton (at The Point) will be hosting us!! 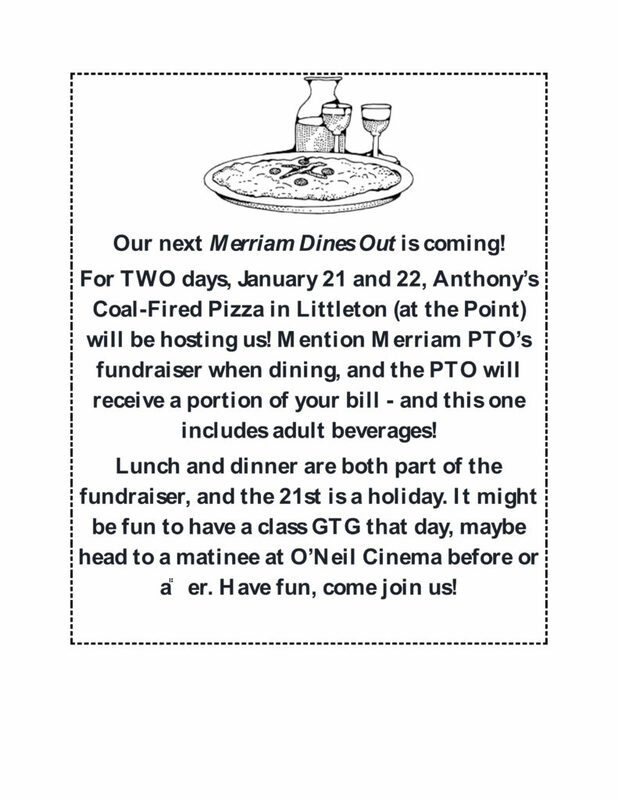 Mention Merriam PTO’s fundraiser when dining, and the PTO will receive a portion of your bill – and this one includes adult beverages! Lunch and dinner are both part of the fundraiser, and the 21st is a holiday. it might be fun to have a class GTG that day, maybe head to a matinee at O’Neill Cinema before or after. Have fun, come join us! Merriam’s 2018 Auction, community donations needed!